buy Texture, which lets users subscribe to more than 200 magazines for $9.99 a month. Apple cut about 20 Texture staff soon after, according to one of the people. Apple used to have an app called Newsstand that combined several magazines and newspapers, but the publications were only provided on an individual subscription basis. When Apple News started in 2015, it took a similar approach. bought Beats Music and the Beats audio device business in 2014 for $3 billion. At the time, Beats Music had fewer than a million subscribers, and Apple has turned that into more than 40 million paying users. Apple needs successes like that to meet a bold target for its services division. Sales from that segment grew 23 percent to $30 billion in the company’s 2017 fiscal year. Executives have said they’re targeting services revenue of roughly $50 billion by 2021. During a recent earnings conference call, Apple told analysts it had a total of 240 million paid subscriptions, with 58 percent year-over-year growth. 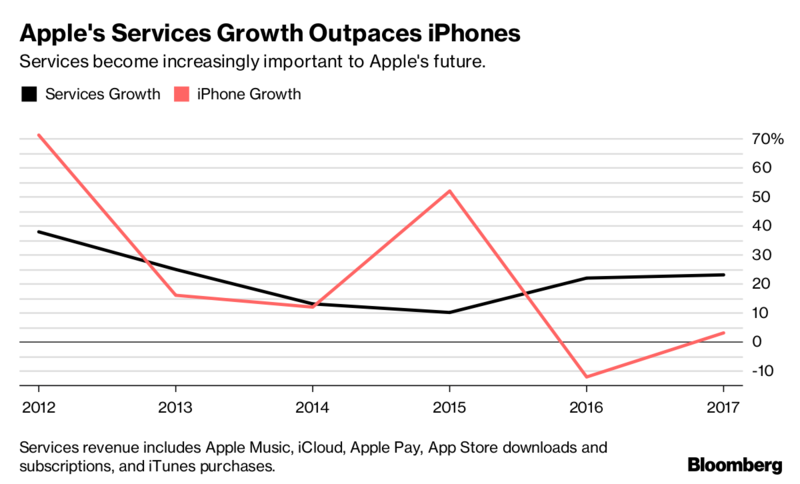 Services become increasingly important to Apple’s future. Repeating the success of the Beats deal with a Netflix for news will be difficult, according to Gene Munster, a longtime Apple analyst and co-founder of Loup Ventures. If Apple charges a few dollars per month versus the current $9.99 cost for Apple Music or Texture as it exists today, the company could boost subscription numbers, he said. Still, the initiative probably “won’t move the needle for Apple’s subscription business,” Munster added. Currently, Apple sells subscriptions for iCloud storage and Apple Music. It also gets a cut of subscriptions sold by third-party apps on the App Store. The company could also choose to turn its original video content efforts into its own Netflix-like video subscription service. Apple also gets services revenue from Apple Pay transactions, App Store downloads, iTunes music, movie, and TV show purchases, and digital book downloads. Job reductions at Texture aren’t necessarily a sign that the news subscription effort is off to a slow start. Apple rarely cuts positions, but after the company acquired Beats, it released about 200 people. This time, Apple let roughly 20 people go from Texture, including assistants, software engineers, and managers, according to one of the people familiar with the matter. Texture had about 100 staff. « Does a Halfway Breakup Go Far Enough?